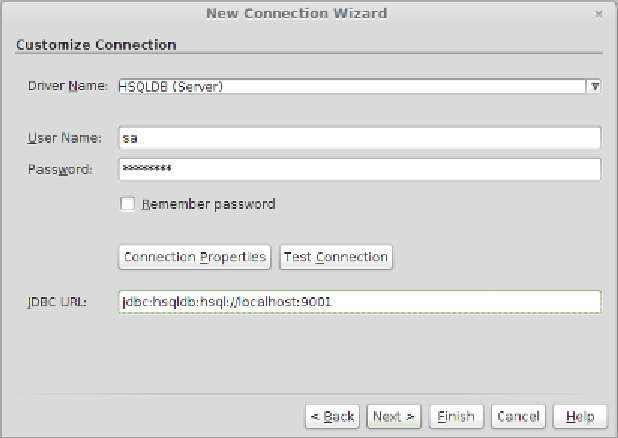 Then we need to enter the JDBC URL, username, and password for our database. 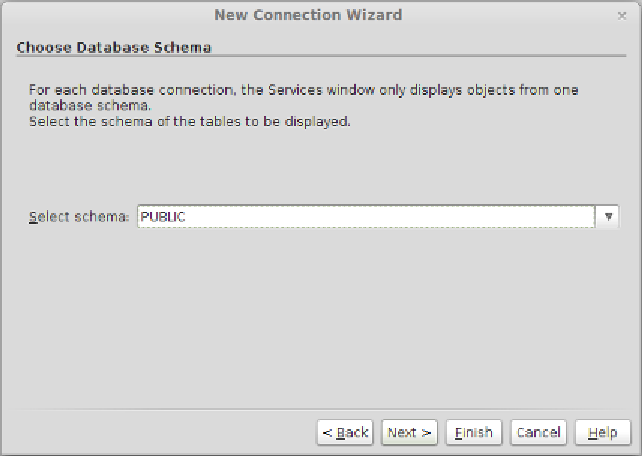 After clicking on the Next> button, NetBeans will ask us to select a database schema. In this case, we select PUBLIC from the drop-down menu.